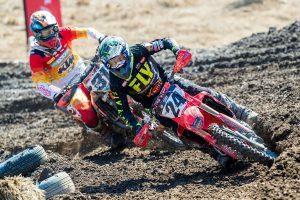 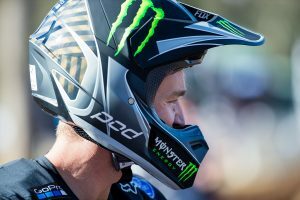 The 2019 Australian Motocross Championship, or MX Nationals as it’s known, is officially underway, and the DPH Husqvarna Factory Racing team have come out firing, with Todd Waters (MX1 – 450cc) taking the win, Wilson Todd (MX2 – 250cc) third, while MX2 newcomer, Bailey Malkiewicz had to settle for 27th in an unusual race weekend. Torrential rain saw the event reduced to just one, six lap race for each of the three classes with conditions making each race a matter of survival over outright speed. 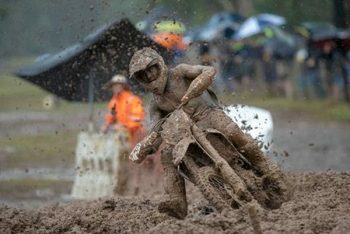 The DPH Husqvarna team now has 12 days to regroup and clean up after a challenging weekend before re-packing the transporter and heading to Wonthaggi on March 31 for the second round of the MX Nationals.